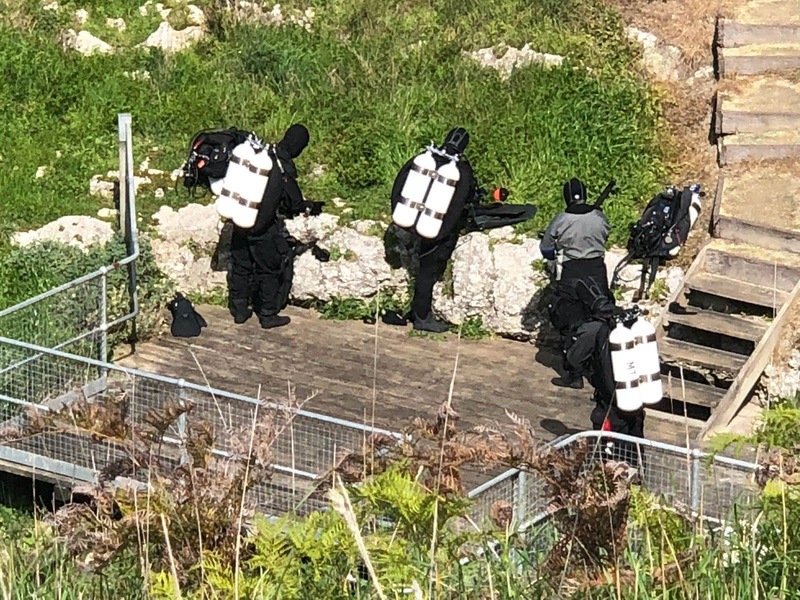 A hearty congratulations to the team of five members that completed their CDAA Basic Cave acreditation in Mt Gambier over the weekend of the 14/9/18. On the 14th of September five intrepid members headed over to South Australia for the practical component of our long awaited basic cave course. 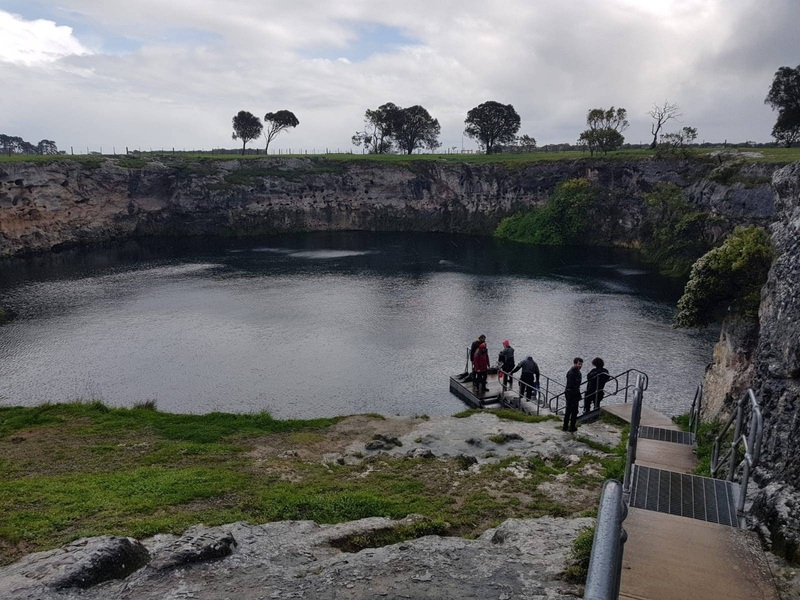 For those of you who don’t know, Mt Gambier in the far south-eastern corner of South Australia holds Australia’s most well-known cavern, sinkhole, and cave diving sites. 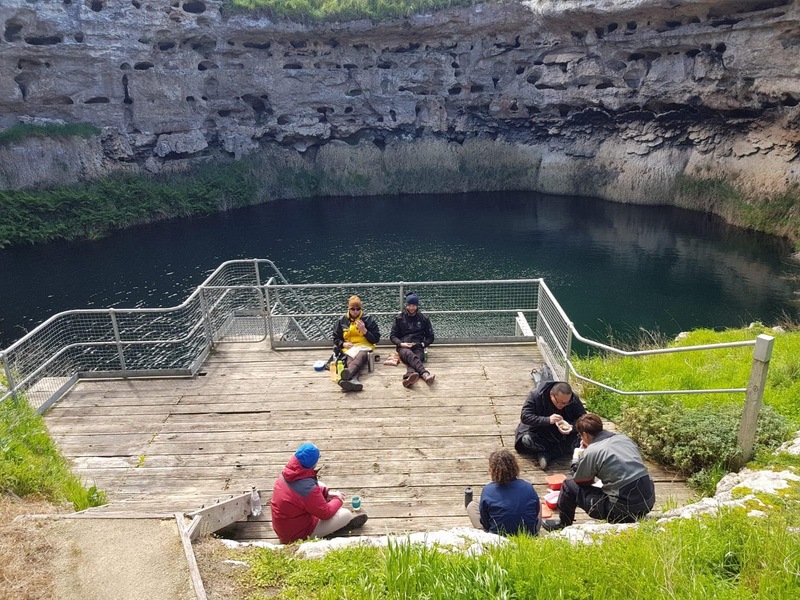 These freshwater sites require a different skill set to the usual ocean dives MUUC frequents and are controlled by the cave divers association of Australia. In order to dive at these sites, you must be a certified basic cave diver or higher and be a member of the CDAA. I thought things were going well on our first dive, we were swimming around our first site, Goulden’s sinkhole, managing to not get caught in our guideline and there were even a few huge Glenelg crayfish to see when suddenly our masks were ripped from our faces and one diver was out of gas! We then spent the rest of the dive nearly blind, sharing air, following our carefully laid guideline back to the entry point, all while trying not to get tangled in the line and keeping in good trim. This would prove to be a recurring theme throughout the weekend, with every dive involving masks off, sharing air, laying and following guidelines, all while keeping in perfect trim and buoyancy. 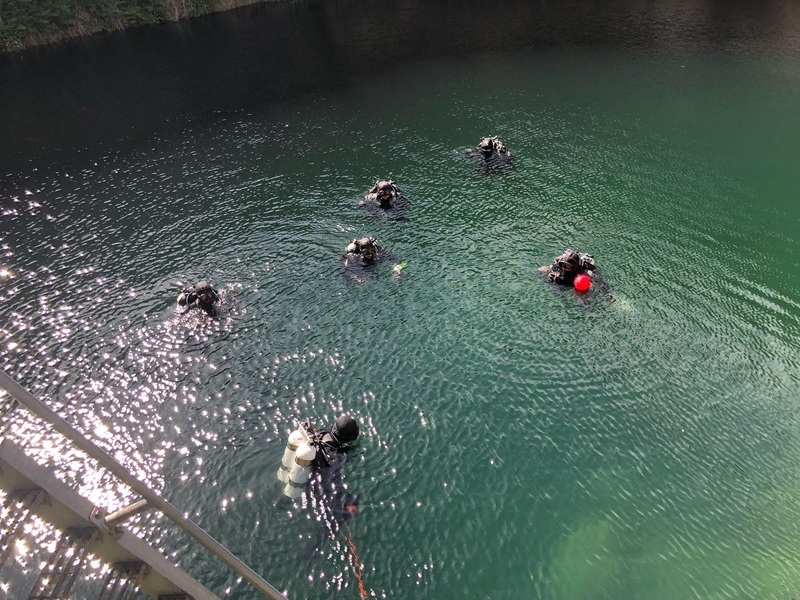 The biggest differences when diving in these freshwater sites are your inability to surface immediately due to an overhead environment, and the potential for reduced or zero visibility due to silting. Practically what this means is that you need redundancy in your equipment such as twin tanks and to be trained to deal with any issues that can arise on a dive without the ability to surface immediately. Copyright © 2018 MUUC - All Rights Reserved.